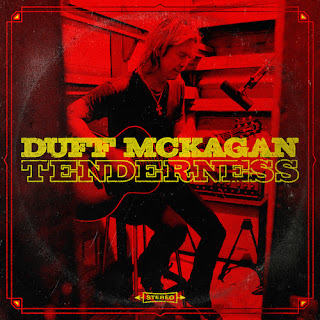 20 March 2019 (Toronto, ON) – Guns N’ Roses bassist and New York Times bestselling author Duff McKagan has released “Chip Away”, a new track from his much-anticipated solo album, Tenderness, which will be released on May 31 via UME/Universal Music Canada, the country’s leading music company. “‘Chip Away’ is somewhat of a rail against cable news and divisive agendas…all for the almighty dollar,” says McKagan. “The song also highlights the fact that history repeats itself over and over, and that we will all get past this, together." “Chip Away” follows the recent release of the lead title track “Tenderness”. Both songs are available as instant downloads with album pre-orders. Pre-order Tenderness HERE. 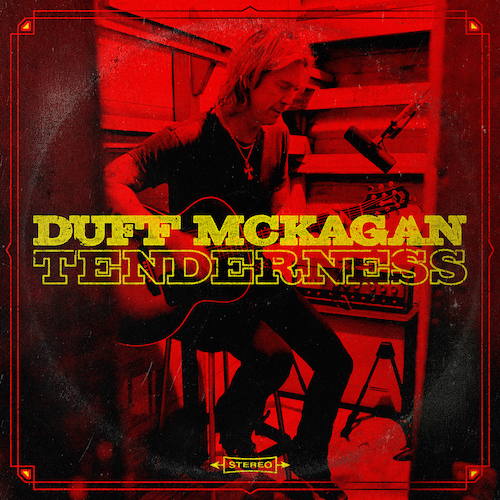 Also available for pre-order is a special limited-edition Tenderness deluxe book, which includes the album on 180-gram yellow & red starburst vinyl, the CD, and features an exclusive lithograph signed and numbered by McKagan. The hard cover book contains 40-pages of photos from the recording sessions and also presents liner notes written by Duff detailing his experiences with each song and the project as a whole. The vinyl features 10 tracks and a unique sequence carefully selected by McKagan and the album’s GRAMMY®-winning producer Shooter Jennings, while the CD includes 11 tracks.